Hockstein's was founded in 1967 by David Hockstein. 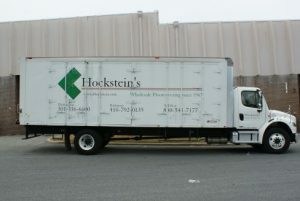 Hockstein's has been supplying wholesale floor covering to the trade ever since. We offer a full range of residential and commercial carpet, carpet tiles, pad, sheet vinyl, VCT, luxury vinyl, laminate, hardwood flooring and carpet supplies - all at wholesale prices. We carry products from all major manufacturers. In stock products are available for same day pick up or next day delivery. Special order items are available in as little as 1-3 days. Hockstein’s has over two thousand rolls of carpet & sheet vinyl in stock. Also in stock is a full range of padding products, VCT, Pre-finished and Unfinished Wood Flooring, LVT, and the areas lowest priced Laminate Floor. We now stock an ever-expanding line of installation supplies including tackstrip, seaming tape, adhesives, blades, staples and metal moldings. Guaranteed lowest pricing on seaming tape and tackstrip. Copyright © 2016 Hockstein, INC., Inc. All Rights Reserved.